"Photography has provided me with a passport into many fields of interest which would otherwise have remained unknown. It has enabled me to meet, even if only once, a large number of famous people. Many an afternoon I have enjoyed in isolated intimacy with some personage whose path, but for my profession, I might never have crossed. Sometimes I was never to see them again; but photography has also been the means of discovering lifelong friends"
"I was able to bring out many of my familiar tricks, and also deciphered how easy, in comparison to photographing beautiful women of the world, it is to photograph men. The photographer of men has chosen an easy life." "My attitude to women is this - I adore to dance with them and take them to theatres and private views and talk about dresses and plays and women, but I'm really much more fond of men. My friendships with men are much more wonderful than with women. I've never been in love with women and I don't think I ever shall in the way that I have been in love with men"
"[Greta Garbo] is the only person with glamour. She is flattered and pleased that she is an amazing success but she does not want to meet her fans. Women send orchids to her every day, men telephone on long distance calls to try and hear her voice. She is so casual and dreamy. She doesn't give a damn and the fact that she doesn't give a damn and will not come out of hiding only increases the frenzy and as with me they are almost driven insane with desire to see her and incidentally she gets more publicity in this way than if she were at everyone's beck and call"
"I soon found I had fallen so much under Picasso's influence that I was seeing the world with eyes other than my own, with Picasso's eyes in fact. I began to realize that many ordinary objects, pieces of cork, metal and paper, even ordinary boxes of matches - yellow, blue and black - which one sees every day, when seen in his company, look as if they are the creation of the master himself"
Beaton began his education at Heath Mount School, where in Photobiography he recalls his time as being particularly unpleasant as a result of being bullied by fellow schoolmate Evelyn Waugh (who became the hugely famous writer), who, he claimed, once bent his arms back to front. 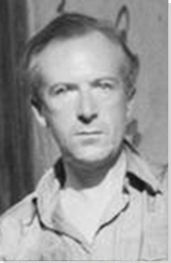 Beaton later studied at St. Cyprians School alongside author George Orwell, and then at the prestigious Harrow School. Looking back at his time at Harrow, Beaton stated that: "I was quiet and weak and rather effeminate at Harrow. I never played football or did anything like that. I dressed nicely and wanted to look nice because it pleased me". 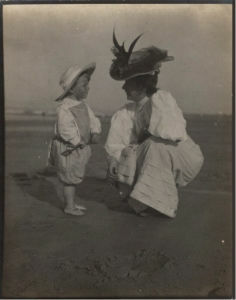 Beaton found his time at Harrow tedious and would amuse himself by venturing out with a friend dressed in theatrical garments to capture photographs. In 1922, Beaton started at the University of Cambridge but spent much of his time involved with the ADC (Amateur Dramatic Club) instead of studying. Beaton also continued his interest in photography, frequently submitting his photographs to various publications. After many attempts, Beaton had a portrait depicting The Duchess of Malfi accepted to Vogue in 1924, this was actually an image of fellow student George Rylands dressed in drag. In 1925, Beaton left Cambridge without a degree, but with a clear desire to work as a photographer. His father, who was adamant that he should start earning money as soon as possible, offered him a role at his workplace. While Beaton initially complied, he felt that the job was not for him, and informed his father that he would be setting off for Venice to explore photography and the arts. Beaton was left disappointed with his trip, stating that "I so hoped Venice would bring something big to me. I'd be able to repay all the money I owed and help in many other ways. How silly of me to have said, and said not only once but often to Nancy [his sister], 'what fun it will be when I get lots of money and am rich to show off in front of Daddy and be thoroughly extravagant and overtip taxi-drivers'". With such expectations, Beaton left Venice feeling depressed. Returning to England, Beaton worked his social connections and this enabled him to meet the Bright Young Things, a group of Bohemian socialites including Stephen Tennant and Edith Sitwell, whose lives Beaton began to document. Through Edith, Beaton also met her brother Osbert Sitwell, who assisted him in the production of his first exhibition at the Cooling Galleries. Beaton's lively photographs of the Bright Young Things in association with this exhibition helped to build his reputation and gave him the entrance into high society that he craved. In 1928, Beaton travelled to New York, he initially found living costs expensive, and he became frustrated with frequently being asked if he was related to the famous cook, Mrs Beeton. Beaton, however, soon got a job with Vogue, where he worked as a photographer for the next ten years. His time at the magazine was exceptionally productive and he was given the opportunity to travel all over the world, photographing celebrities and becoming acquainted with people including the Vanderbilts, one of the wealthiest families in America. In the early 1930s, he became acquainted with George Hoyningen-Huene and Horst P. Horst and their exchange of ideas created the unique style of 1930s fashion photography that emerged during the decade. Whilst in this role, the publisher, Condé Nast, requested that Beaton replace his snapshot camera with a professional photographic apparatus. At first, he resisted, having never really had an interest in the technicalities of photography, but after some convincing, Beaton bought a camera which improved the quality of his photographs. Whilst in Vienna, he met Peter Watson, an English art collector with whom he became infatuated; the love was unrequited. Beaton was, once again, in Austria when he received the news that his father had died. Beaton had often commented on his somewhat strained relationship with his father, who was much closer to his brother Reginald than to him, a fact Beaton attributed to his own penchant for dressing in drag as well as his choice of career. Years later, however, Beaton reflected on the relationship, writing in his diary that "I like him so much more now that I look back on him". In 1937 Beaton was appointed Court Photographer to the British Royal Family. Beaton's time with Vogue came to an abrupt end in 1938 as a result of a controversy regarding an anti-Semitic slur inserted into a collage of New York society figures. The issue containing it was withdrawn and reprinted at great cost and Beaton was forced to issue a statement of apology. 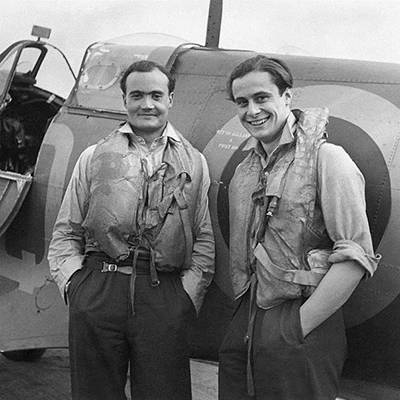 Beaton commented on the matter in his diaries, noting that he was not anti-Jewish, and that he was so exhausted it was practically a subconscious accident. He was subsequently asked to resign his post at Vogue and, given the extent of the public backlash against him, he was advised that he should leave New York; Beaton complied, and returned to England. Beaton, perhaps, did not realize the magnitude of the incident, and he felt frustrated when, even a year later, he was struggling to find work, unable to shake his association with anti-Semitism. His career was saved by the outbreak of war in 1939, when he was offered a post with the Ministry of Information working as a photojournalist. In this role he photographed a huge range of people from soldiers and workers to senior political figures and the Queen. He also travelled to locations including the Middle East and China. 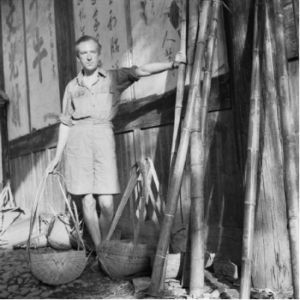 Beaton remembered his time in China as particularly dangerous, writing in Photobiography that on one occasion he was caught in the middle of crossfire. During this period Beaton took some of his most powerful photographs and these established him as a versatile photographer, whose practice expanded beyond the realm of fashion. His images of popular figures also helped to rekindle his relationship with Vogue and by the 1940s Beaton's photographs, once again, appeared in both British and American Vogue. Towards the end of the war, Vogue commissioned Beaton to photograph a number of celebrities including Lily Elsie, Lady Diana Cooper and Greta Garbo. Beaton had always admired Garbo, having first met her a decade earlier, but it wasn't until the mid-1940s that their relationship became romantic. Beaton had always wanted to photograph Garbo, and in 1946 he was given this chance. After the photoshoot in the Plaza Hotel in New York, Garbo requested that only one of the photographs was published. Beaton, however, submitted enough photos to cover a double spread, which caused a significant rift in their relationship. Beaton had dated many men and women over the years, but it was Garbo who had a particular impact on him, and he always remained fond of her, keeping in contact with her for the rest of his life. Beaton remained in high demand as a photographer and was offered a number of highly prized commissions during this time, including photographing the day of the birth of Prince Charles in 1948. Having had much success as a photographer, Beaton was keen to expand his practice beyond, and he also began to work as a costume and set designer on projects such as The Grass Harp (1952). A year later, Beaton enrolled on a course at the Slade School of Fine Art which allowed him to improve his painting and drawing. By the mid-1950s Beaton had firmly established himself within the field and in 1958 he worked on the stage production of My Fair Lady with Julie Andrews. The show met with a positive response and was regarded as the best musical of the season. In 1963 Beaton met Kin (Kinmoit Hoitsma), a former Olympic fencer and a man thirty years his junior with whom he became romantically involved. Following on from his success with the stage show, Beaton was given the opportunity to design the costumes for the film production of My Fair Lady (1964). This was one of his best-known projects and he won an Oscar for the designs. While working on set, Beaton met Audrey Hepburn who he particularly admired, claiming in his diaries that she was "remarkably disciplined: her memory never at fault, she appears on the set word perfect, and she can give exactly the same performance over and over again". In the summer of 1965 Kin ended their relationship, devastating Beaton. Although Beaton had numerous relationships with men, homosexuality was only fully legalized in 1967, and Beaton often found himself experiencing a sense of shame for his feelings. Discussing the matter in his diary in 1966, he wrote: "Of recent years the tolerance towards the subject has made a nonsense of many of the prejudices from which I myself suffered acutely as a young man. Even now I can only vaguely realize that it was only comparatively late in life that I would go into a room full of people without a feeling of guilt. To go into a room full of men, or to a lavatory in the Savoy, needed quite an effort. With success in my work this situation became easier." Beaton also began to fill his diary with assessments (some of which he publicly expressed) of the stars that he met and many of these comments have since become notorious. In 1965, Beaton photographed Grace Kelly, noting that, "If she did not photograph well, we would scarcely stop to look at her on the street... If both sides of her face were the same as the right half she wouldn't be on the screen. That side is very heavy, like a bull calf, but the left side is intensely feminine and creates the counter-point." Beaton met Katharine Hepburn whilst working as the designer on the Broadway musical Coco (1969) and wrote "Katharine Hepburn creates a bad first impression...Her strident voice is like a blade of new grass and she looks as if she had jumped into a stream for her morning bath". Perhaps the biggest victim of Beaton's disapproval, however, was Elizabeth Taylor. Beaton photographed her and her husband, Richard Burton for the Proust Ball in 1971. He immortalized the interaction with the couple, commenting that: "I have always loathed the Burtons for their vulgarity, commonness and crass bad taste, she combining the worst of U.S. and English taste.. I treated her with authority, told her not to powder her nose, to come in front of the cameras with it shining. She wanted compliments. She got none. 'Don't touch me like that,' she whined! Her breasts, hanging and huge, were like those of a peasant woman suckling her young in Peru. On her fat, coarse hands more of the biggest diamonds and emeralds... And this was the woman who is the greatest 'draw'. In comparison everyone else looked ladylike." Despite his increasingly catty public persona, Beaton's work was highly celebrated during the late-1960s and 70s, exhibitions devoted to him were held at the National Portrait Gallery and the Victoria and Albert Museum and in 1972, Beaton was knighted. Two years later in 1974, Beaton suffered a stroke that robbed him of the use of his right hand, affecting his ability to draw, paint, and use a camera. In his final years, Beaton recovered, learning how to work with his left hand. This allowed him to fulfil projects for Vogue, photographing figures including Olympia de Rothschild and Jane Birkin. Beaton's last commission was in 1979, photographing the young Princess Michael of Kent. On January 17th 1980, Beaton passed away peacefully at Reddish House, Broad Chalke. Beaton left behind a legacy that influenced fashion photographers, portrait photographers and photojournalists alike. It was courtesy of Beaton that the glamorous image of the Hollywood starlet was established, a style dubbed "The Beaton woman" by Irving Penn. Beaton's images were not just about beauty, however, through his creativity and keen eye, Beaton established a powerful image of his sitters, giving a sense of their character through his photographs and this playful aesthetic replaced the more staid traditions of earlier portraitists. He also incorporated a unique theatricality into his fashion work and, along with photographers such as Horst P. Horst, revolutionized the medium, adding dramatic backdrops and sets and wider artistic references into his images whilst still portraying the elegance of the clothing. 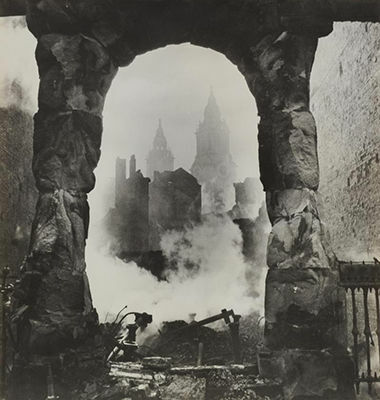 Beaton had a more concentrated impact on photographers such as Angus McBean and David Bailey. The influence of Beaton's use of Surrealist imagery can be seen in the similarities between specific works of Beaton and McBean - for instance Baba with Glass Dome (1926) and Beatrice Lillie (1940). David Bailey directed a film on Beaton entitled Beaton by Bailey (1971), which provides insights into Beaton as a person and photographer from his contemporaries and sitters, including Mick Jagger, Jean Shrimpton, Twiggy, and David Hockney. The film serves as a testament to the range of people that Beaton affected, suggesting the level of his significance to the arts at the time. Beaton was not only influential to his contemporaries, but to his successors. 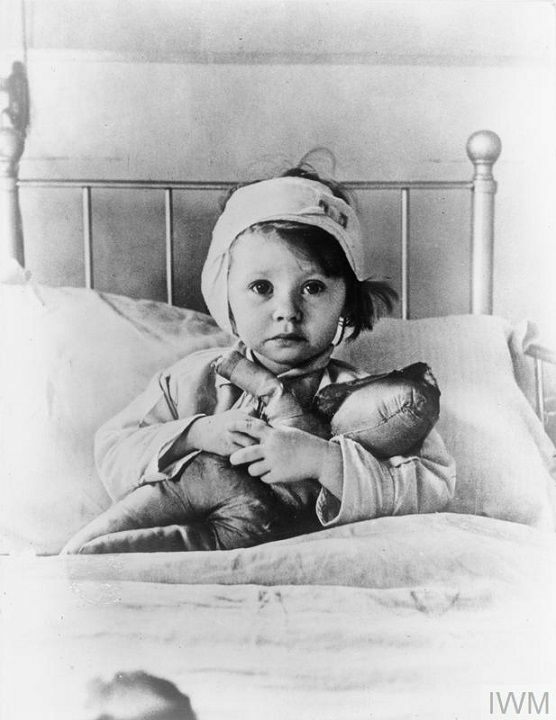 Many of his photographs exude a timeless quality that could still grace a magazine cover today. Elements of Beaton's aesthetic can be pinpointed in the works of Annie Leibovitz, who particularly admired his portraits of the royals and of Greta Garbo. Similarities can be seen between Leibovitz's photograph of the Queen, and Beaton's Queen Elizabeth II, Buckingham Palace (1968), particularly with regards to her stance and the inclusion of the Admiral's cloak.